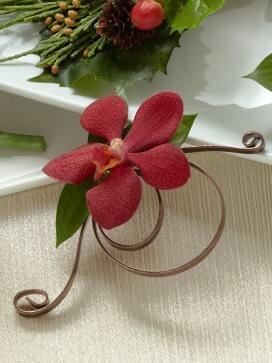 This stunningly simple yet striking red mokara orchid boutonniere is one of sheer style and sophistication! 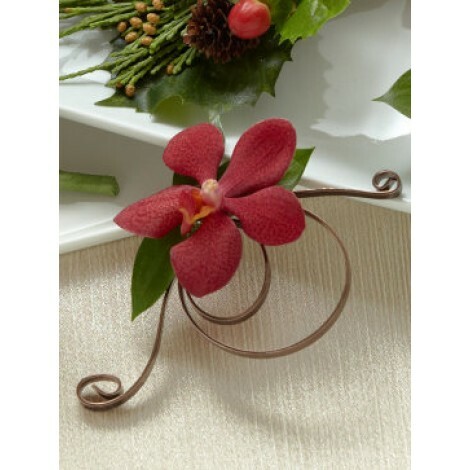 Featuring; a single red mokara orchid expertly accented using lush green leaves, embellished with a chocolate brown, flat wire to complete this stunning and charming floral accessory. Approximate dimensions; 5" x 3"W.